Are you thinking about escaping the big city and wondering what it would be like to commute from Oakville to Toronto for work? Commuting between Toronto and Oakville may be far more enjoyable than you think! 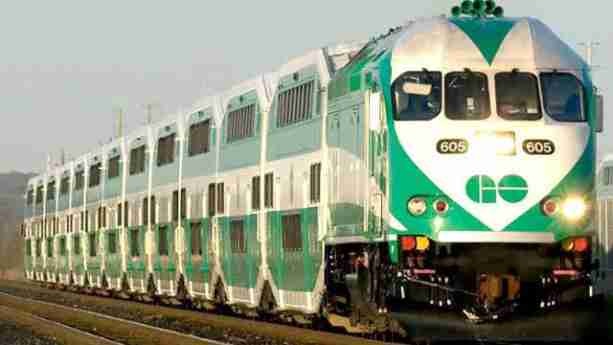 Below are some of the benefits commuting on the GO train may give you. Driving needs your focus but commuting will give you time to redirect your attention to something else. You can use the commute to enjoy a good read, watch some Netflix without having to battle it out with your kids or spouse, or even play some mobile apps. Whatever you do, you can be sure of some much needed ME-time on the GO train. Recharging is great for your mental health and your physical health. Having sufficient downtime that you can use for whatever you enjoy will do wonders for your stress levels and give you better quality of life. It really is no contest between commuting on the GO Train versus using the TTC. For one, you’ll save time on the GO Train, and two, riding the GO Train offers a more relaxing ambiance than that of the TTC. Why stress yourself out when you can literally sit and relax during your commute? Because riding the GO Train gives you extra time for yourself and allows you to commute in peace, you’ll have time, energy, and opportunity to tackle some personal projects and increase your productivity. You may use your commute time to keep a journal, take up knitting, or even start a blog (yes, you can write on your tablet or phone during a GO Train ride). If you own a business or want to start a business, you can use your commute to answer and compose emails. If you’re the type to self-study, use it to learn a foreign language! Because you’ll have extra time for yourself and able to relax during your commute on the GO Train, you’ll look forward to coming home as a time to spend with loved ones and enjoy your home more. Bonus is when you know that you’ll be coming home to Oakville, a town that gives you plenty of green spaces, cultural and historical sites, plus a lot of opportunities for recreation. Oakville is just 30-40 minutes away from Toronto on the GO Train and have a selection of homes and beautiful neighbourhoods to take your pick from. The Oakville Go Station have ample free parking spaces to make using the train a lot easier for you. Thinking of moving into your own home in Oakville to enjoy easier commute to Toronto but not sure where to start? Contact us and our agents will surely match you to the Oakville home of your dreams! Living in Oakville can mean not just easier commute to Toronto but also access to grocery pickup in GO Stations!